What is A Rose-Cut Diamond Ring? The vintage rose cut is experiencing a style resurgence, blossoming out of the past and gracing the fingers of many modern brides. Jennifer Aniston’s engagement ring from Justin Theroux had a massive rose-cut diamond, and Matthew McConaughey proposed to Camila Alves with a rose-cut diamond ring. While the rose-cut diamond features a similar style to that of the modern round brilliant cut, do not confuse these delicate dazzlers with their more modern offshoots. 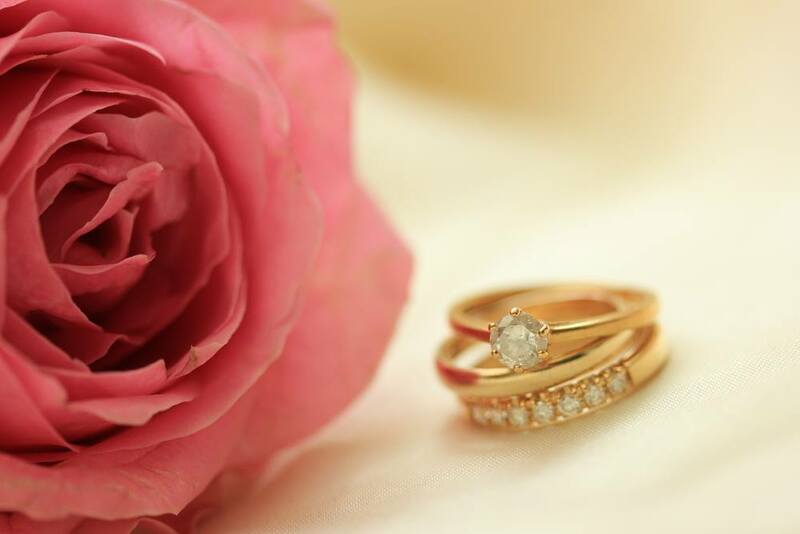 The rose cut has very little in common with round brilliant diamonds, beyond, of course, the circular shape. So what is a rose-cut diamond ring? And why is it suddenly so popular? The rose cut is about 500 years old and was actually the precursor to today’s round brilliant cut. Before Marcel Tolkowsky created the perfect way to cut a round stone to reveal optimum brilliance, the rose cut was the standard design for round-cut diamonds. The rose got its name from its blooming appearance, with each facet resembling a petal within a rose. Unlike modern cuts, however, the rose features fewer facets and remains flat on the bottom. The less detailed cut created fewer sparks of fire and brilliance than the precise lines of the round brilliant. And while today’s jewelers don’t often carry the rose cut — opting instead for the sparkling round brilliant—the rose is blooming back into fashion thanks to surging interest in vintage-style jewelry. Cut: The rose features only 24 facets (in contrast, a round brilliant features 57 or 58). This means that there are fewer cuts within the diamond to pull in light and bounce it around within the stone. Rose-cut diamonds also are flat on the bottom, lacking the conical cut that distinguishes the round brilliant. With a completely flat surface and fewer facets, the rose is shiny but not brilliant. Color: Fancy-colored diamonds look fantastic with rose cuts. Stones with more yellow hues create beautiful yellow bouquets when cut into rose shapes. 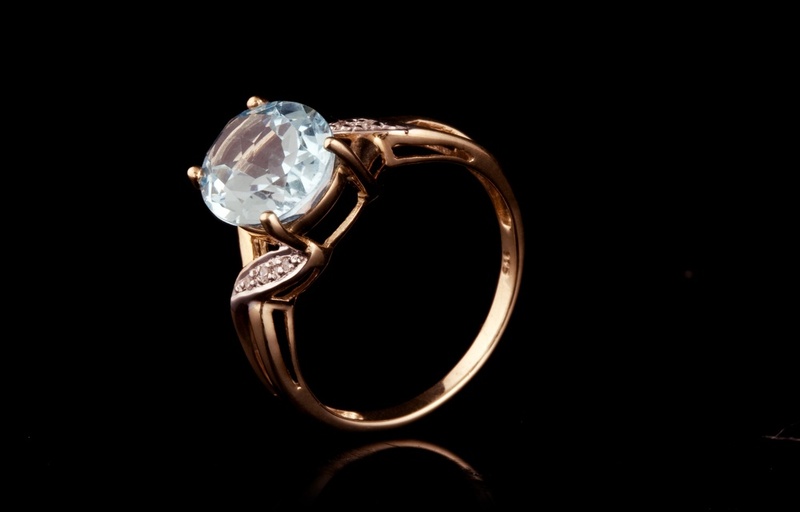 Whiter stones give off an almost icy effect when crafted into a rose cut. Unlike other cuts, the rose displays both crisp white and more muted hues with equal beauty. Rose-cut diamonds with lower color ratings evoke a more vintage feel. Clarity: The cut of the rose may accentuate flaws within the stone. This can be good or bad…depending on the buyer. As the rose is an ideal vintage cut, imperfections also give the stone more antique beauty. However, buyers who want a cleaner stone should opt for higher clarity grades (VS1 or VS2) to keep flaws invisible. Carat: The rose looks lovely in all carat sizes. Depending on the clarity and color grades of the rose-cut diamond, the carat cost might be lower than it is for other cuts. However, if you choose a rose-cut diamond ring that is truly vintage — and perhaps even antique — the cost may be much higher than a newly-cut rose. While the rose cut shines more than it sparkles, the rose creates a unique and exquisite centerpiece stone in engagement rings. With its throwback vintage appeal and delicate, understated beauty, the rose-cut diamond blooms with romantic brilliance.